RockTape is a special kind of tape known as kinesiology tape. RockTape has a lifting effect on the skin allowing an increase in circulation to the area. 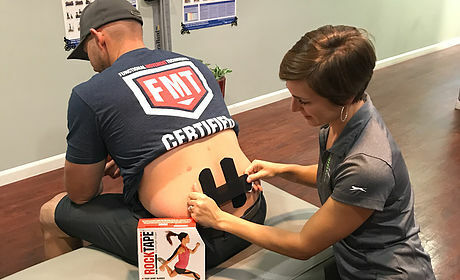 RockTape reduces pain, reduces inflammation and swelling, improves mobility, delays muscle fatigue, improved posture and normalizes muscle tone. RockTape is safe and effective for everyone including children and the elderly. Dr. Shannon is FMT certified.